Lightweight online communities are proliferating like rabbits drinking Four Loko, as companies and organizations seek an easy and inexpensive way to interact with fans and add some oomph to their inert organic social media efforts. I’m seeing Facebook Groups, in particular, being launched in great numbers, and many people I trust claim that the Groups they participate in are the most interesting and useful social media in which they currently participate. My Hug Your Haters group is really a peer organization, with lots of very smart social media customer service practitioners contributing ideas and commentary. But there’s another use case for Facebook Groups: brand advocacy. Imagine asking your best and most loyal customers to participate in an invitation-only group where they can interact with the brand and with one another. If that sounds a lot like the original premise for Facebook Pages, but with a log-in feature, you’re not wrong. Groups give brands a bit more control over the content and the dialog, as well as a stronger notifications system to let members know when new content has been posted. In short, I’m bullish on Facebook Groups for companies and brands. But, you can’t just set up the group, invite some customers and expect the whole thing to start growing like a Sea Monkeys kit. You have to keep the group members participating, and to do so, you must understand the four main ways to engage them. I call them the 2 T’s and the 2 P’s. The key is to give group members (and this really applies to all online and offline communities) access to things that not just anyone can get. The old American Express slogan: “Membership Has Its Privileges” is spot-on. The first way to activate and engage group members is by giving them early access. Are you writing a new book? Let them read draft chapters in advance. Launching a new product? Give them a sneak-peek photo or short video. Knowledge is currency, and knowing something before anyone else knows it can be a powerful intoxicant. Truthfulness is how you engage group members with a whisper. This is “the rest of the story.” This is where you divulge the behind-the-scenes tales of how the book was written, how the product was invented, and so forth. The truthfulness engagement tactic doesn’t work because group members know first, but rather because you tell them MORE. This is engagement through activation. As I’ve written about for many years, you must give your fans assignments; you can’t just collect them like baseball cards. Ask group members to help select a headline. Or a book cover. Or the photo for a print ad. Or the trade show booth design. Or the name of the new floor plan (I have a home builder client). Show the members you care about them by asking them what they think and what they prefer. This is where you provide “badging” for members so that they can demonstrate to others that they are in a special club. These demonstrations can take place online, offline, or both, and are powerful psychological motivators. Laptop stickers for group members would be an inexpensive way to make this work. On flights, I often see personalized carry-on luggage tags with the members’ name, announcing they are Kryptonite level status on United Airlines, or whatever. Can you do something for your group members that lets them let the rest of the world know they are part of a special tribe? 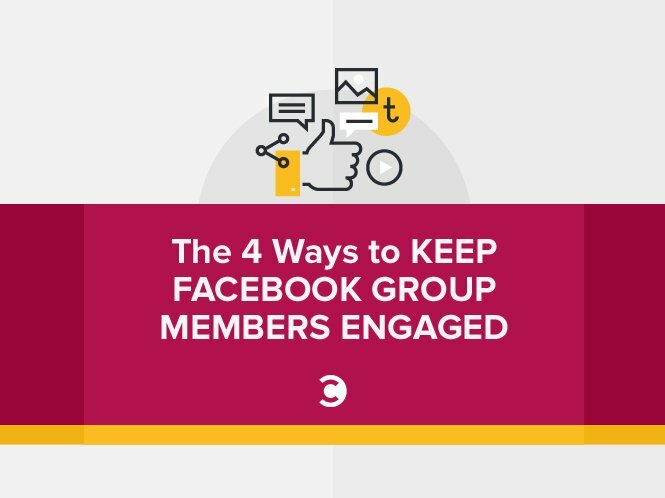 As you get more active in your own Facebook Groups and other online communities, how will you use Timely, Truthful, Participation, and Personalized to engage and activate your members?